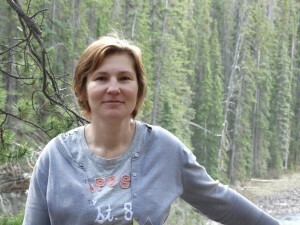 Svitlana Melnyk is a lecturer at the Department of Slavic and East European Languages and Cultures, Indiana University. She teaches Ukrainian language, Russian language, and Intro to Ukrainian culture courses. Her areas of expertise are bilingualism and education, linguistic minorities, language policy and language planning. She has participated in a number of projects and conducted research about ethnic and linguistic diversity in Ukraine. In the project Svitlana investigates the topic of education in minority languages in Ukraine. She concentrates of the following questions: the educational policy of Ukraine and its relations with the education of minorities and maintaining their languages; challenges and perspectives of education in native language; and situation with the state language in minority schools.